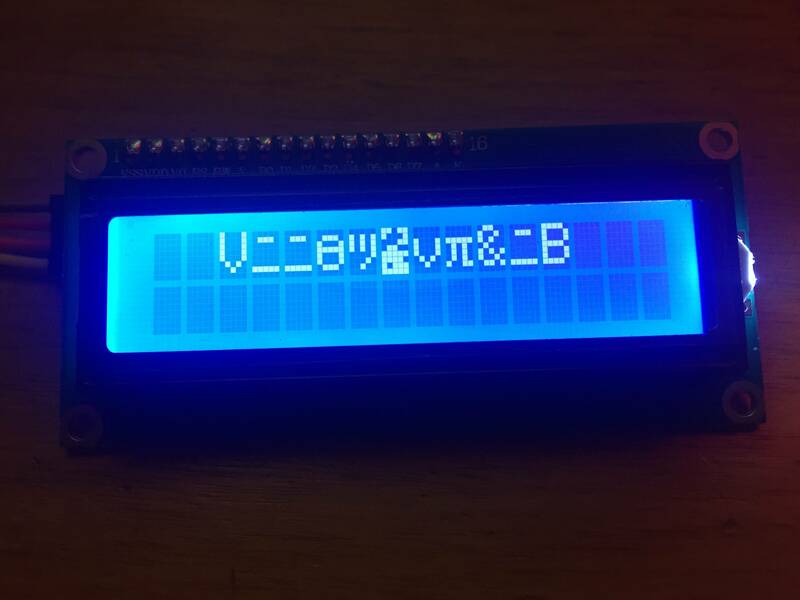 I have connected an LCD with an I2C backpack to my Arduino Uno but it prints the wrong characters. The weird thing is that it worked fine for a while and when I updated the code (but didn't change anything to do with the LCD) it started displaying the wrong characters. This happened earlier today too. That time, reinstalling the LiquidCrystal library worked, but it doesn't now. Does anyone know what might be the problem so I can fix it permanently? If you look up the ASCII codes for what you sent vs what was displayed, and also look at "Table 4 Correspondence between Character Codes and Character Patterns (ROM Code: A00)" in an HD44780U spec sheet, you will find hexadecimal values like the following. It appears that the high nibble of what you sent is being used as the low nibble of what is displayed, and the low nibble is being used as the high, but with some bits sometimes going wrong. Note, a space is 0x20, and the reverse of that is 0x02, which would access a character from the character-generator RAM, which will contain random bits and produce a random blob as in your picture. If your mis-specification of display size (20, 4 vs 16, 2) isn't responsible for the problem, then maybe there is a hardware problem with the backpack you've soldered on to the LCD. 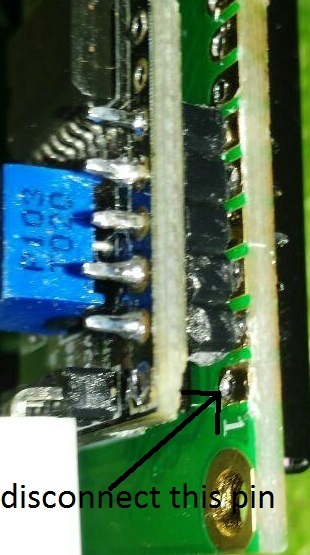 Look at it under a bright light, using a binocular parts-examination microscope if you've got one, and see if there are loose solder particles, extra solder flux, or loose solder connections on that board. If you have an oscilloscope, check if your I2C signals are clean and have full swing. wrong parameters have been passed to the constructor. The last two arguments are supposed to indicate the number of columns and rows on the screen. Your screen has 16 columns and 2 rows, whereas you passed 20 columns and 4 rows to the constructor. This could be the problem. I experienced this while using a STM32f429 discovery board, and I found out there are two reasons that this happens. 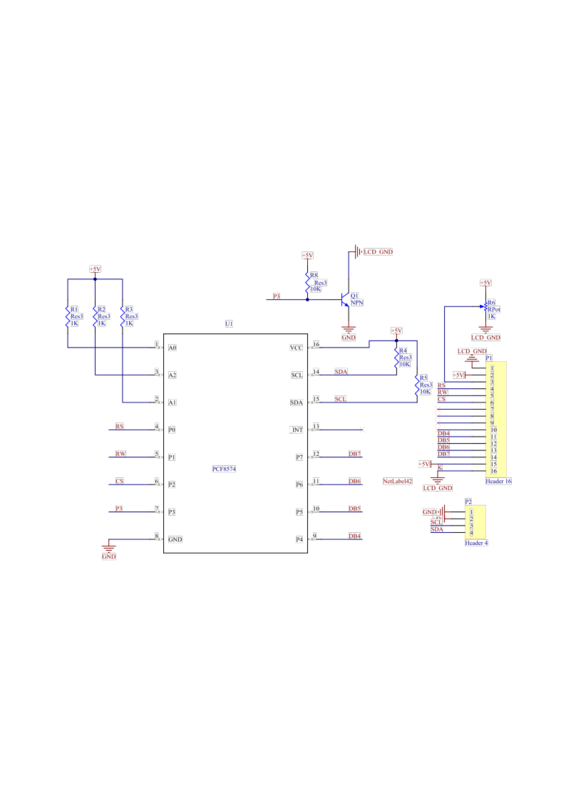 when using a fast microcontroller (180 MHz clock), if you send I2C packet consecutive LCD may not be that fast to understand it and as James said in other post LCD may lose some packet and get confused. To cope with that you have to put a delay between your packet.